A collection of stories about the men & women who made NASCAR racing great. From a regional series NASCAR grown into a national series. 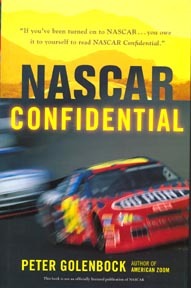 The author's interviews shows the human side of the men & women of NASCAR. Life at the track & at home are told. Size: 6 1/4"x 9 1/4"